Khan Market has no dearth of restaurants. From a wide variety of cuisines, price points, vibe and ambience, there’s literally something for everybody. 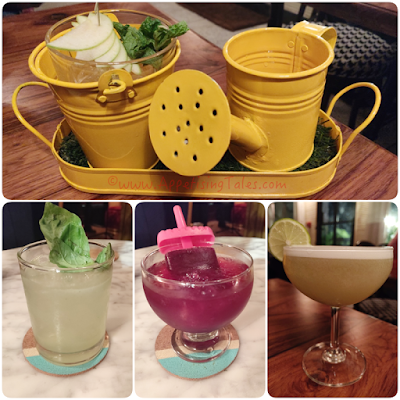 There are many that require a substantial waiting for a table because of the lipsmacking food or get buzzing during ‘happy hours’ for their choice of tipple. Dessert places, coffee bars and even street side kiosks have regulars and die-hard fans. Now here’s the newest entrant that has a winning combo – the trio of food-cocktails-live music. 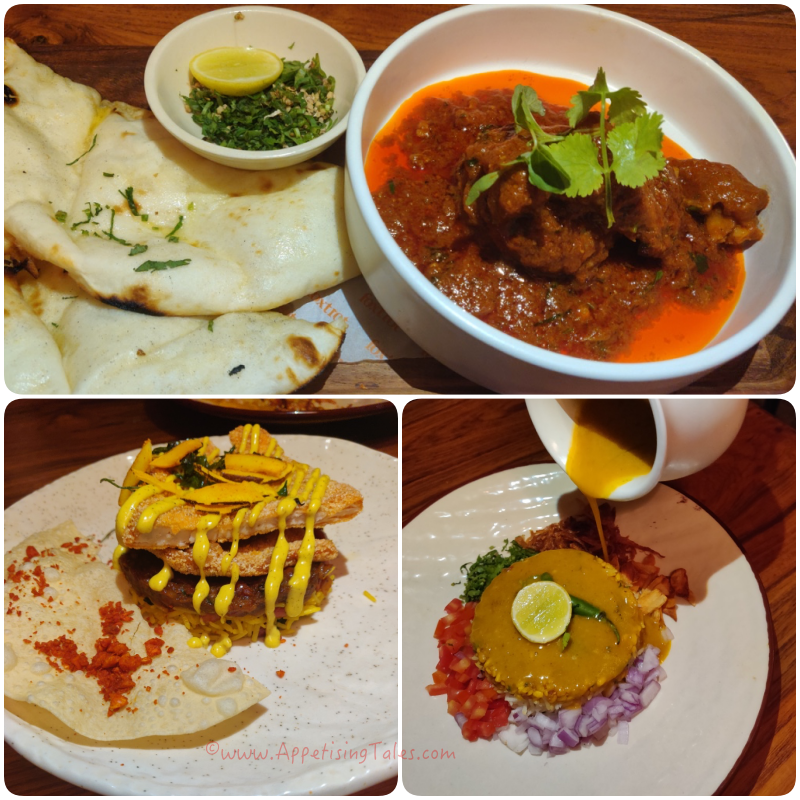 Azure Hospitality seems to have struck a formula that works across cuisines – Mama Goto’s delicious Asian fare, Dhabha’s rustic balti meat, dal and satisfying naans and paranthas and Sly Granny and Hotel Delmaar’s world cuisine have all struck a chord with restaurant goers. The latest to join their pack is Foxtrot. What you get here is some of the bestsellers from the aforementioned brands - think, paprika prawns and cheese balls, vegan earth bowl and juicy burgers, luscious risottos and mezze platters. The addition here however is the Indian fare. While the small plates include Mumbai-style pao bhaji, dabeli and ragra aloo chaat the large plates have soya haleem, palak paneer kofta biryani and veg galouti burger. You get the drift? – Stuffed Kulchas. Try the bacon and blue cheese kulcha and thank me later. If you want to experiment further, go for the kulcha platter. The three cheese with truffle oil is a great vegetarian option. For a relatively healthier option there’s also the beetroot galouti kulcha. I tried the lamb galouti version too and give it a thumbs up. 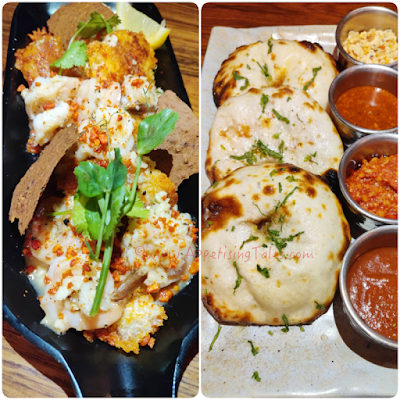 – Goa Shack Prawns. The similarity to the butter garlic prawns that are served almost everywhere in sunny Goa ends at the butter and garlic. The bed of utterly sinful but totally delicious pav is crisped up with oodles of butter, and the dish is topped with a crunchy, homemade ghati masala. Must have! – Ghee Roast Chicken Taco. You might have tried something similar at Sly Granny and it is the perfect comfort food to down with a cool glass of beer this season. – Deconstructed Dal Moradabadi. Yes, I am recommending a dal chaawal kind of dish just because it is that good. Ghee rice is topped with sookhi dal, served with pyaaz, dhania, tamatar and warm dal is poured on top. – Junglee Maas. If you can handle red chillies and enjoy meat you will like this one. The khamiri roti that comes along with it may not be the most authentic, but then the team is not claiming authenticity of dishes. They’re simply presenting their own twist to soul satisfying food, and that is what we enjoyed. Do try the cocktails when you visit. With most priced at Rs 350 they don’t burn a hole in your pocket. Garden Fresh, a gin based drink is as refreshing as it looks. Dewdropper, another gin based cocktail is great if you like the tang of starfruit. Oh, there are popsicles too. I tried the blueberry vodka popsicle that tasted more like kaala khatta. Something that I will be having again as the temperature starts to soar. Bottom L-R: Gin Tonica, Blueberry Popsicle, Dewdropper. Finally, my favourite part, since I love live music. Wednesday, Friday and Saturday evenings feature live gigs. So what’re you waiting for? Book your table and let me know if you agree with my recommendations. I’ll also be happy to note any other drinks and dishes that you particularly like. Happy Foxtrotting! Foxtrot, 18, 1st-2nd Floor, Khan Market, New Delhi. Cost for Two: Rs 1,500.